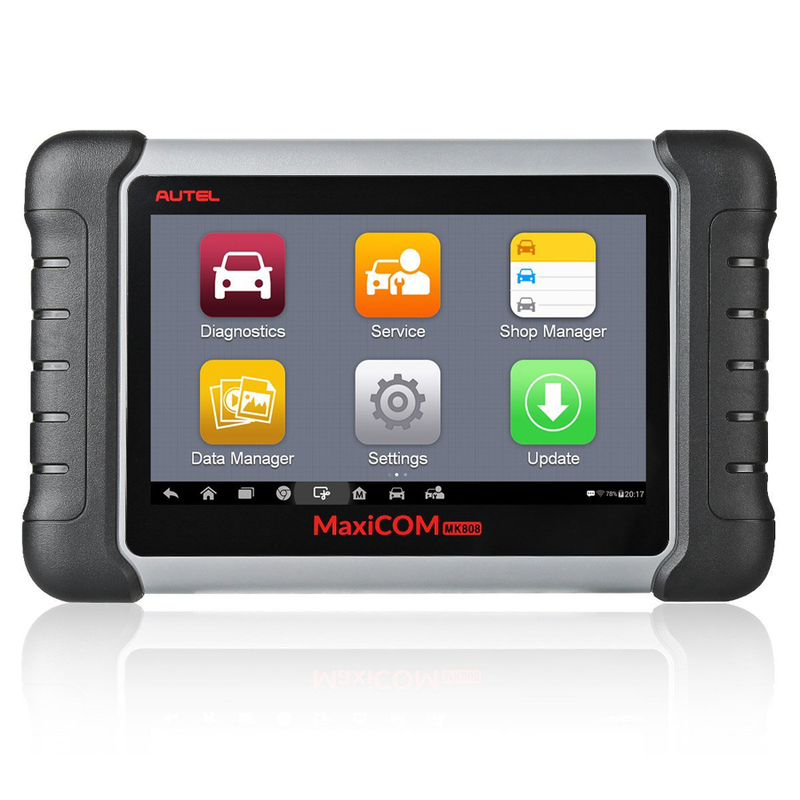 Autel MaxiIM IM608, replacement of Auro OtoSys IM600, features in IMMO functions for over 60 worldwide makes and models as well as service reset functions (EPB, DPF, SAS, Oil Reset, BMS and TPMS Sensor ID Re-Programming etc). 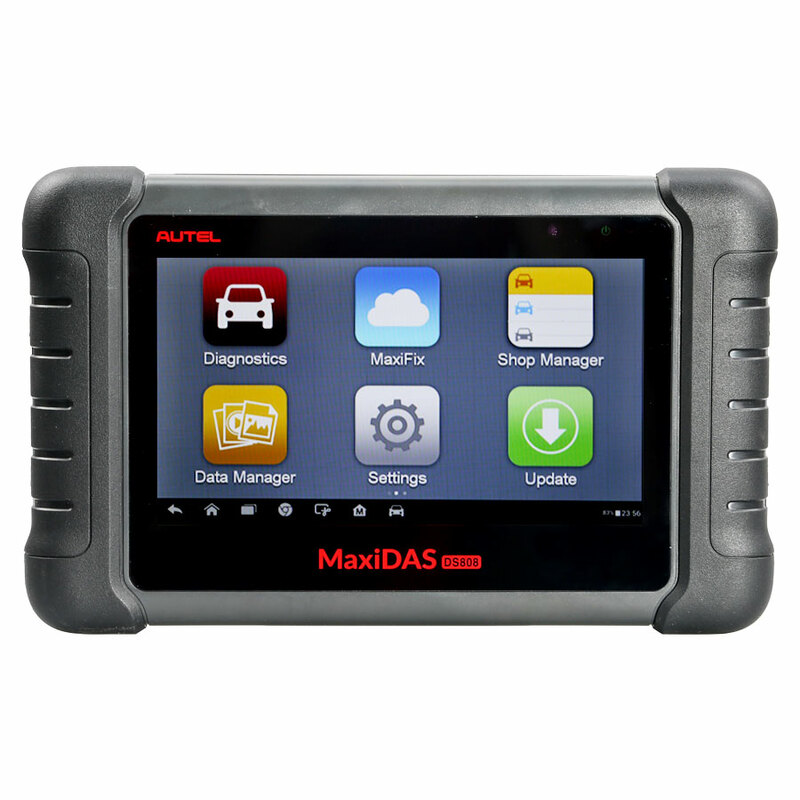 Autel MaxiSYS Pro MS908P features in OBD diagnosis and special functions. 1). Advanced Key Programming | IMMO functions, Transponder read/write/identify, MCU/EEPROM chip read/write. 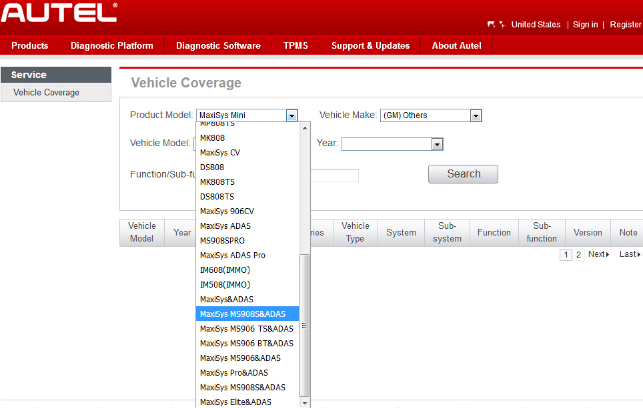 All Special Functions, EPB, DPF, SAS, Oil Reset, BMS and TPMS Sensor ID Re-Programming etc. Answer: Engineers say W212 akl can be done by OBD. 8.I have this tool since may. it is getting better and better ,support is quick. error logs they always reply and send beta version to fix the issues. 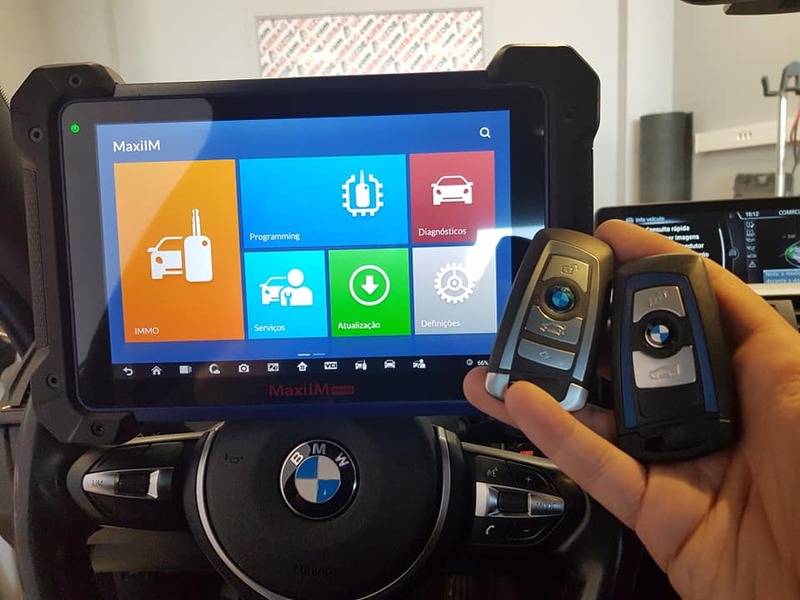 it is very good tool for bmw as well done few cas2 and 3 keys, I have downgrades 3 cas+ as wellwithout any issues. Who to buy Autel MaxiIM IM608? AUDI, BENZ, BMW, DACIA, EU FORD, Ford, LANDROVER, MINI, OPEL, PEUGEOT, RENAULT, SEAT, SKODA, VW, VOLVO, SMART, JAGUAR, BENZ SPRINTER, SAAB, FIAT, ABARTH, LACIA, ALFA ROMEO, VAUXHALL, MAYBACH, BENTLEY, BUGATTI, PORSCHE,GM, CHRYSLER, FORD,SUZUKI, KIA, DAWEOO, ISUZU, TOYOTA, SUBARU, SCION, NISSAN, MITSUBISHI, LEXUS, INFINITI, HYUNDAI, HONDA, ACCURA, MAZDA. The Service section is specially designed to provide you quick access to the vehicle systems for various scheduled service and maintenance performances. The typical service operation screen is a series of menu driven executive commands. By following the on-screen instructions to select appropriate execution options, enter correct values or data, and perform necessary actions, the system will guide you through the complete performance for various service operations. This function allows you to perform reset for the Engine Oil Life system, which calculates an optimal oil life change interval depend on the vehicle driving conditions and climate. The Oil Life Reminder must be reset every time the oil is changed, so the system can calculate when the next oil change is required. This function allows you to quickly look up the tire sensor IDs from the vehicle’s ECU, as well as to perform TPMS programming and reset procedures after tire sensors are replaced. 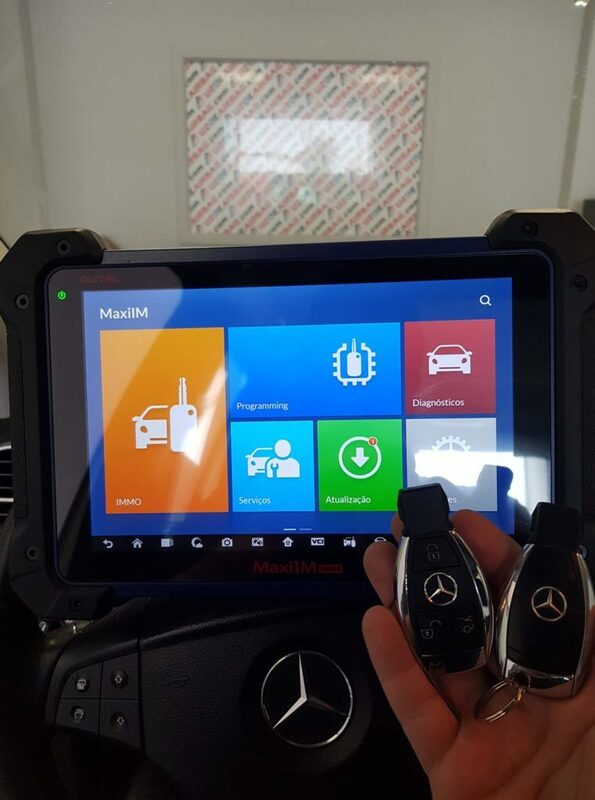 This function allows you to perform various bi-directional tests to check the operating conditions of both the Anti-lock Braking System and the Supplemental Restraint System, such as Automated Bleeding, Pump Motor Test, and checking Module information, etc. This service function allow you to perform calibration for the Steering Angle Sensor, which permanently stores the current steering wheel position as the straight-ahead position in the steering angle sensor EEPROM. On successful completion of the calibration, the steering angle sensor fault memory is automatically cleared. Who are reliable to buy Autel MaxiSYS MS908S PRO? 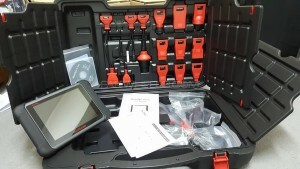 This entry was posted in Original Autel Series and tagged autel maxiIM im608, maxiIM im608 diagnosis, original autel scanner on April 3, 2019 by sales. They told me that the MS-906 was the replacement for the DS-708, but the DS-708 was end of life. They said if you buy a used one, and something happens to the card, then it will essentially be a brick if you don’t have a backup. They also told me that the MS-906 would not program keys and that I had to get the pro version that was quite a bit more expensive. This did not make sense to me because if the MS-906 replaced the DS-708, it should do everything that the DS-708 does. This entry was posted in Original Autel Series and tagged autel maxisys ms906, autel ms906, ms906bt on March 7, 2019 by sales. AUTEL MAXICOM MK808: WHAT’S GOOD? WHY TO BUY? WHO SHOULD BUY? 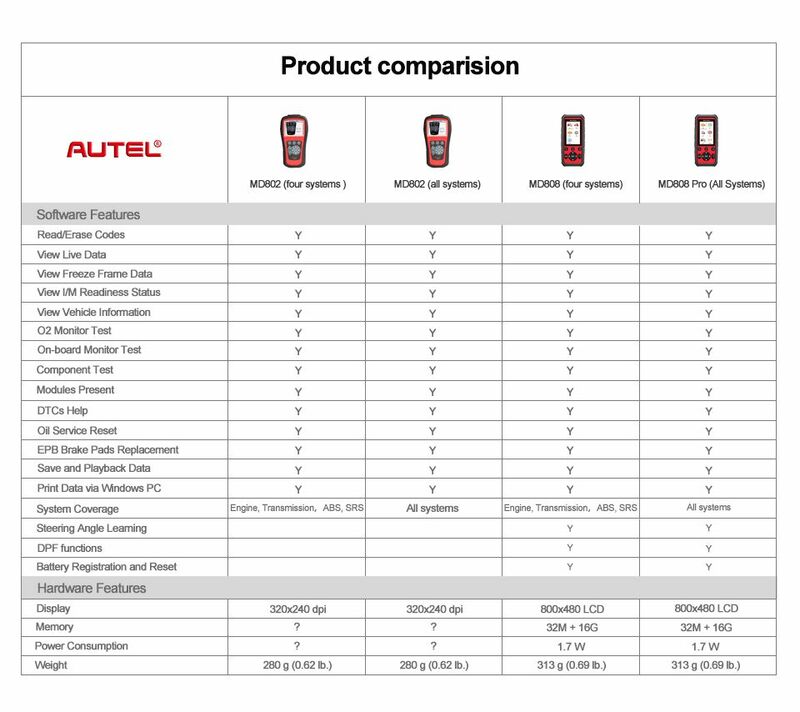 – what’s the main difference between Autel DS808 and MK808? – is it good for both auto diagnosis and key programming? – is it the tool i need indeed? Designed for me? – why there are lots of professionals look for it? The Maxidas DS808 focuses on working with engine and ECU diagnostics more extensively. In other words, it’s designed to diagnose engine problems instead of turning off the airbag light. WHO SHOULD BUY AUTEL DS808? 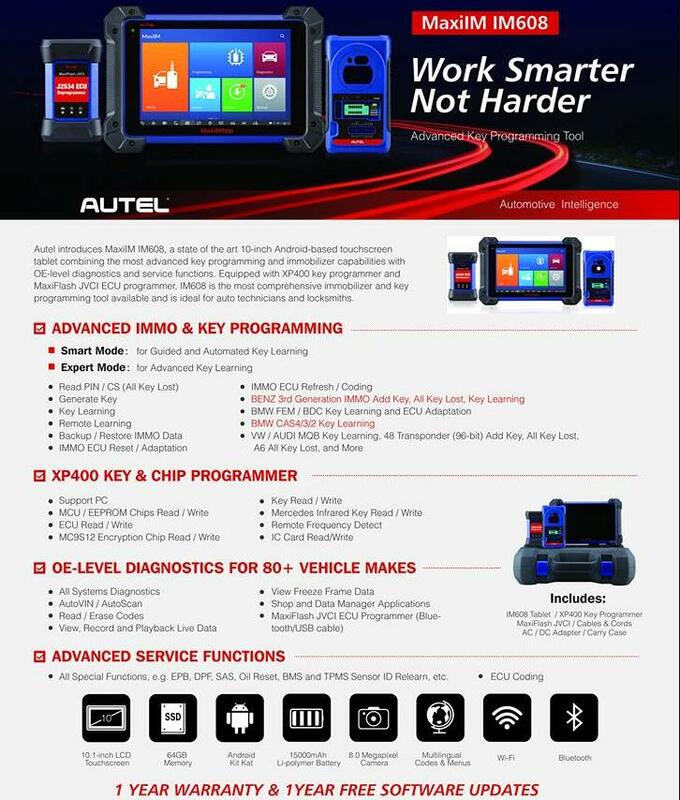 The Autel MK808 is for automotive professionals. This scan tool is the superior choice if you find yourself diagnosing car engines often. It’s definitely the tool of choice for people who need the deeper scans and advanced diagnostics it offers. WHY DO YOU BUY AUTEL DS808? 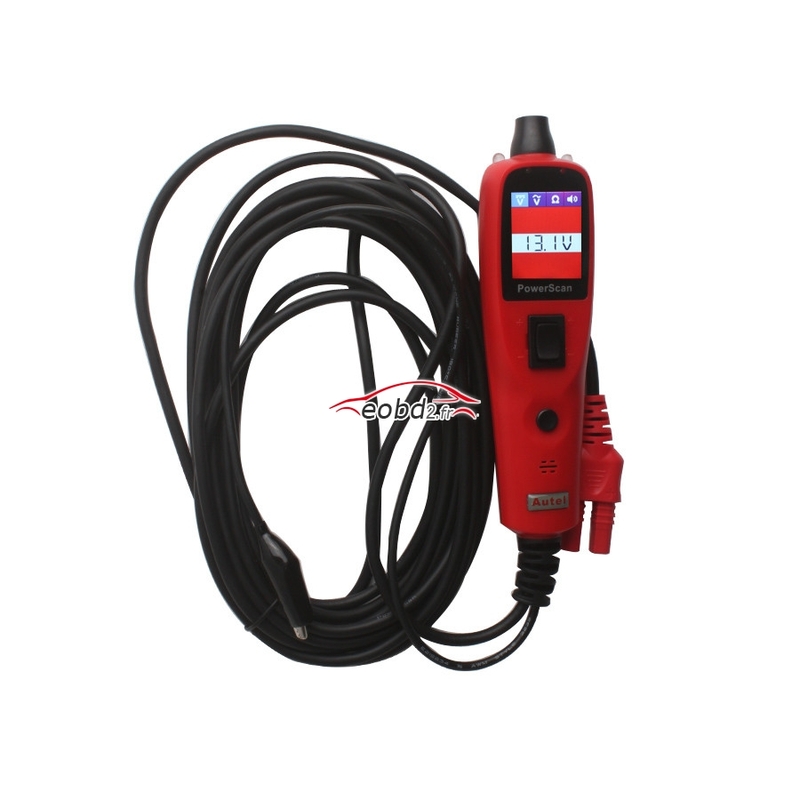 The Autel Maxicom MK808 is compatible with every car made after 1996 and can clear tricky manufacturer trouble codes. If you want a scanner that can solve the broadest range of problems on the broadest range of cars, it’s the one to choose. 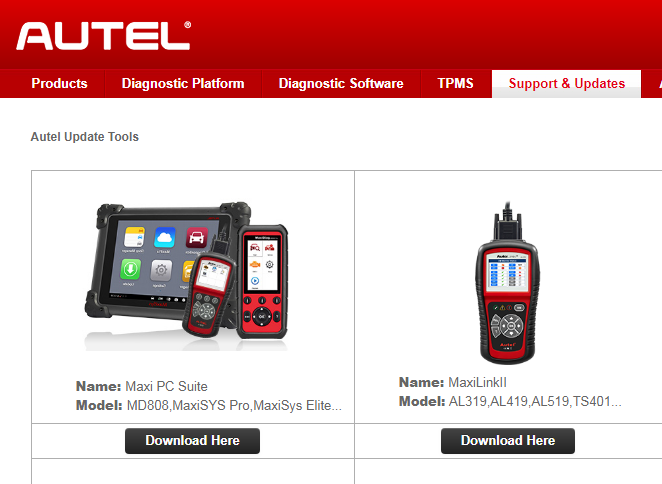 On the other hand, the Maxidas DS808 offers deep diagnostics that make diagnosing engine problems a breeze. If you want to view live ECU data to get to the heart of an engine issue quickly, the DS808 is the right choice. This entry was posted in Original Autel Series and tagged autel ds808, autel mk808, original autel mk808 on October 16, 2018 by sales. Install Maxi PC suite, then put the MD808 Pro Card（with Card reader） into Computer. This entry was posted in Original Autel Series and tagged autel md808, md808 all system, md808 diagnosis on September 17, 2018 by sales. And customer will ask why should i choose MD808, it is the new one without much test . This entry was posted in Original Autel Series and tagged autel md808, autel md808 all system, md808 all system on March 16, 2018 by sales. This entry was posted in Original Autel Series and tagged Autel AL619 on June 6, 2017 by sales. This entry was posted in Original Autel Series and tagged Autel PowerScan PS100 on June 5, 2017 by sales.